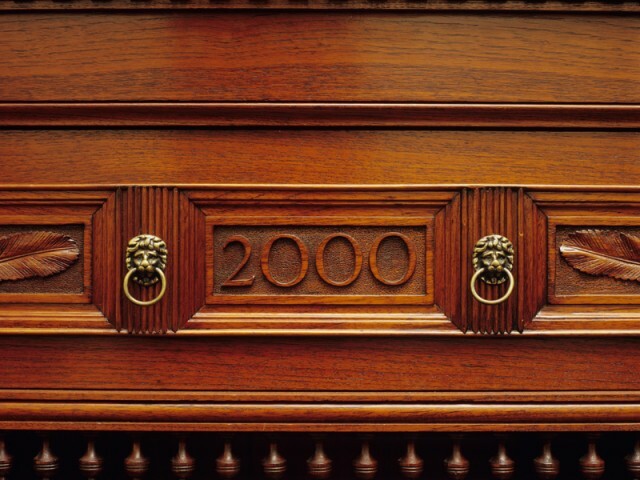 Commissioned in 2000, this cedar sideboard with Aesthetic Movement detail was inspired by late 19th century English furniture designs. Photo Greg Piper. 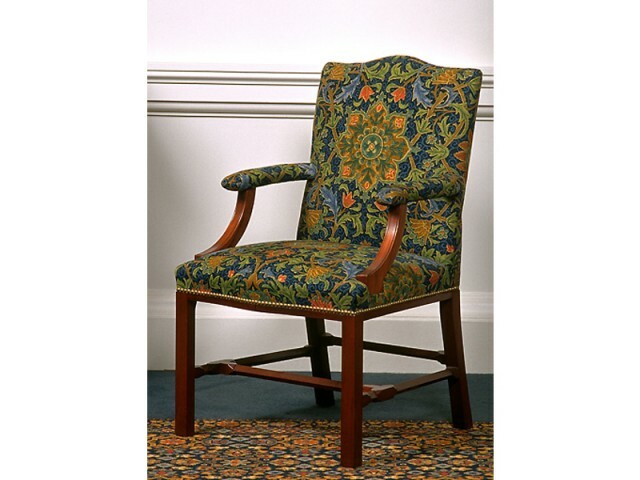 The rich tapestry design by William Morris was selected for these reproduction chairs, also inspired by late 19th century English furniture design. Photo Greg Piper. 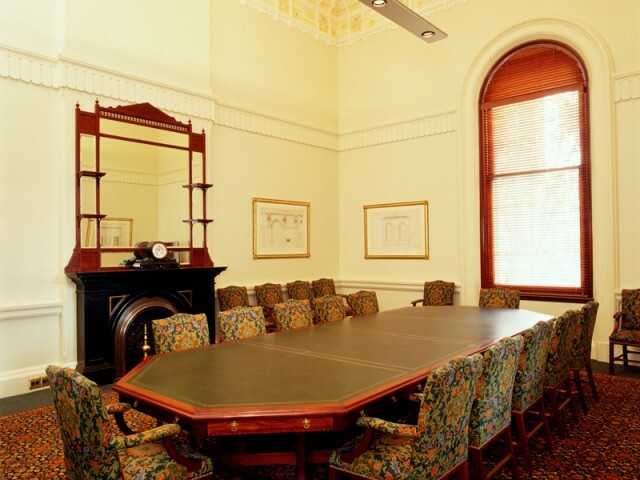 Used for Council's committee meetings and for formal meetings with official civic guests, the Finance Room is furnished with modern furniture, inspired by the Aesthetic Movement style architectural decoration. Photo Greg Piper. 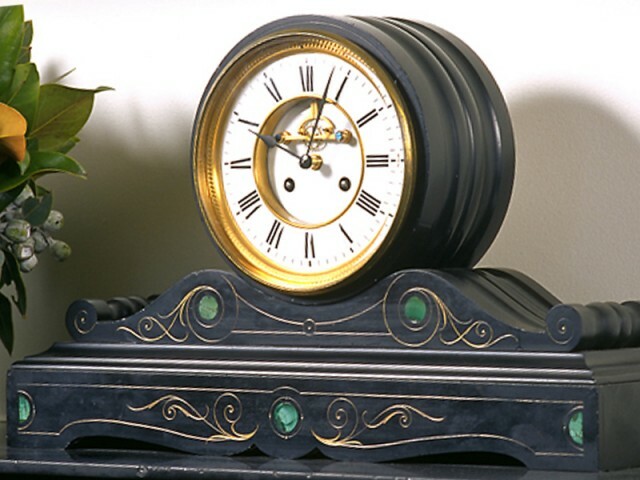 Among the decorative elements of the Finance Room are the black marble fireplace and French mantle clock. Photo Greg Piper. 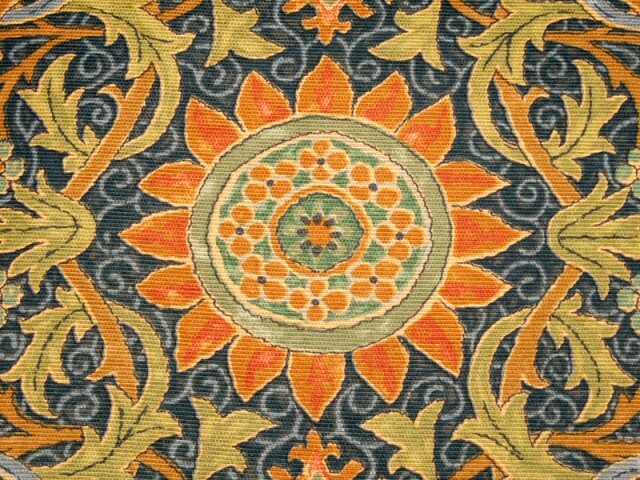 Many of the rooms in the Town Hall are used for meetings of committees which support the work of the Council in the administration of its affairs. The Finance Room is just one of these. With its easy access to the Council Chamber across the corridor, the Finance Room is used as a meeting room for the many committees chaired by the lord mayor and councillors. Notations on early plans record its former use as an ‘aldermen’s retiring room’ which suggests that it may have been an informal lounge space for the aldermen to gather informally, away from the public scrutiny of the Council Chamber. The Aesthetic Movement ceiling frieze suggests that this room underwent a major redecoration in the late 19th century when the Grand Staircase which adjoins the room, was reconfigured. 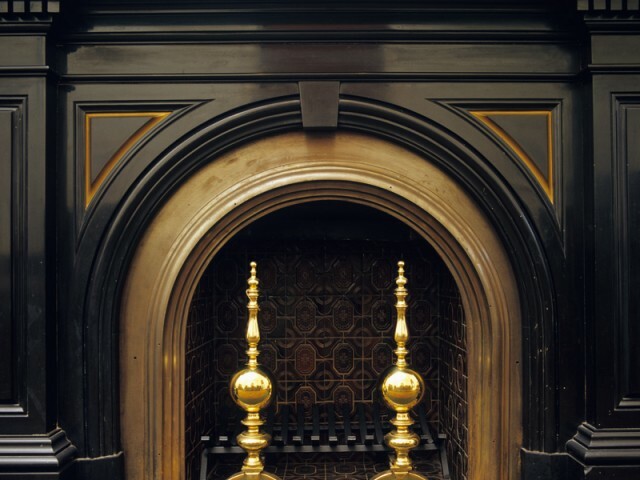 To retain this theme, a suite of modern reproduction furniture which embraces aestheticism in its design and decoration was selected for this room in 1999. 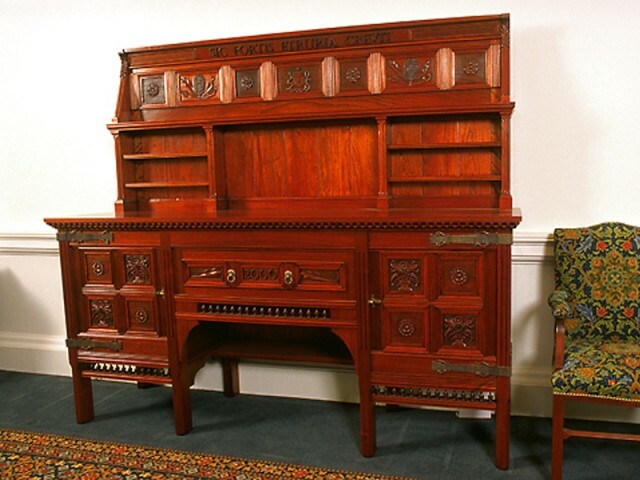 Of particular interest is a sideboard which incorporates the city’s flower, Banksia ericifolia, and the motto Sic fortis Etruria crevit, an allusion to the struggle of the Etruscans in a colony of exiles, which was used on the Colony’s first seal, and later by the Bank of New South Wales.